The easiest kinds of plants to learn to save seeds for is peas and beans. If you already save dried peas or beans, do exactly the same thing but save the beans or peas to be used as seeds. If you are unfamiliar with this process, it is very easy. The pea pod in the picture is an Amish snap pea. As the season for them passed, I left quite a few pods on the vine to dry. Once the vines are completely dead and the pea pods are dried, then collect them. This may be a month or so after you would normally harvest them to eat. 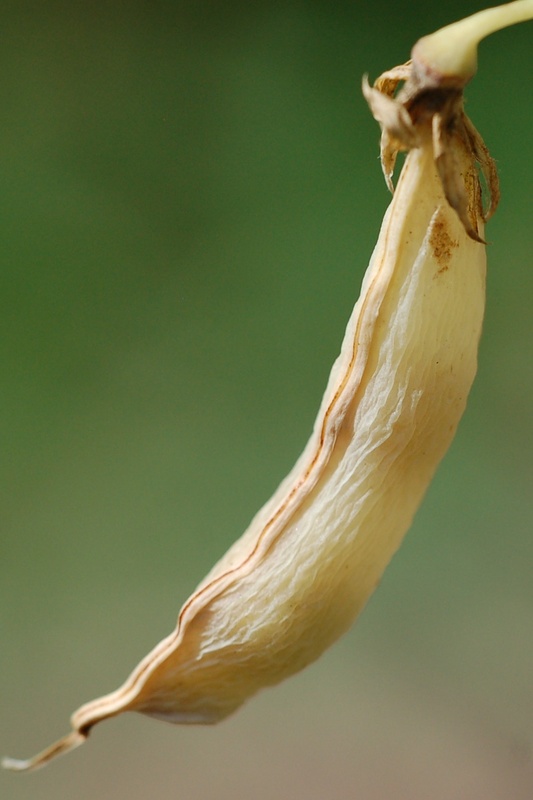 Then all you need to do to get to the seeds is simply pop open the pod without sending the peas flying everywhere. Be sure that the peas are completely dry and store in an air tight glass container. These seeds can store well as long as five years. Beans and other kinds of peas are saved exactly the same way. 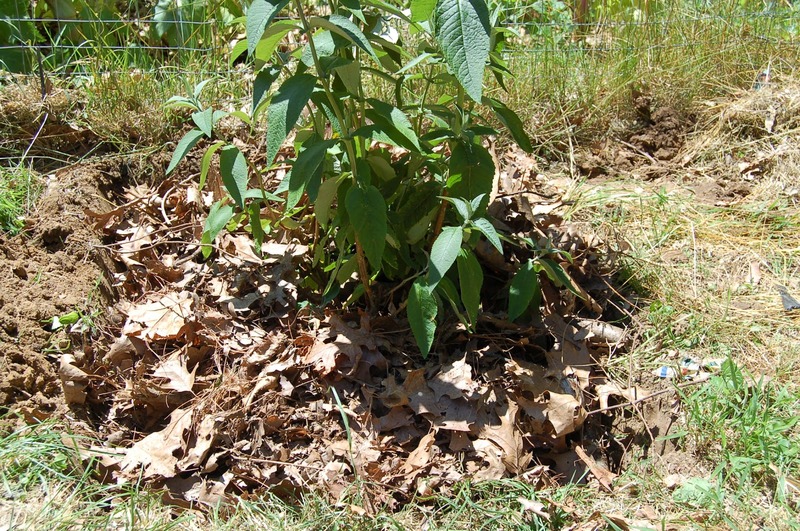 The perfect way to fertilize a tree or bush is a hugelkultur mound. 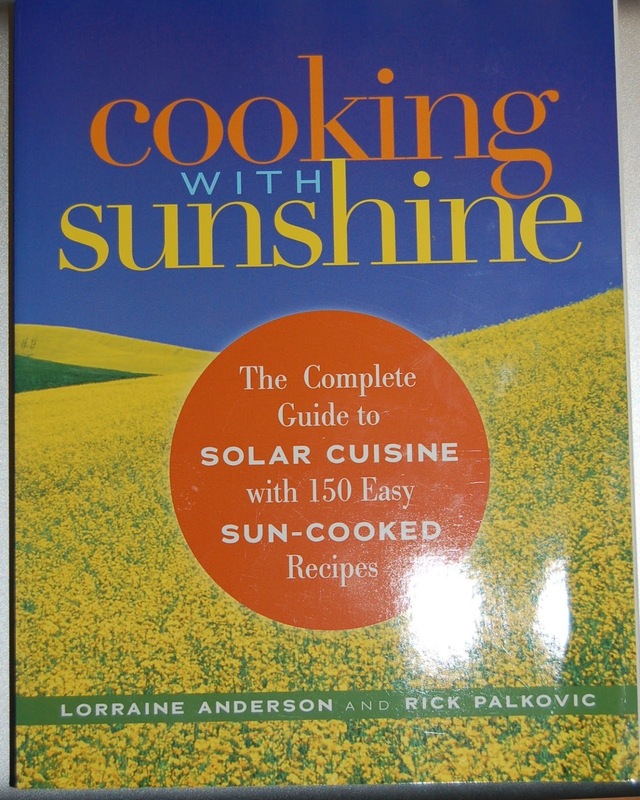 This will provide food for years with only a little effort in the beginning. It retains water so you don’t need to provide supplemental, just rain water should do. 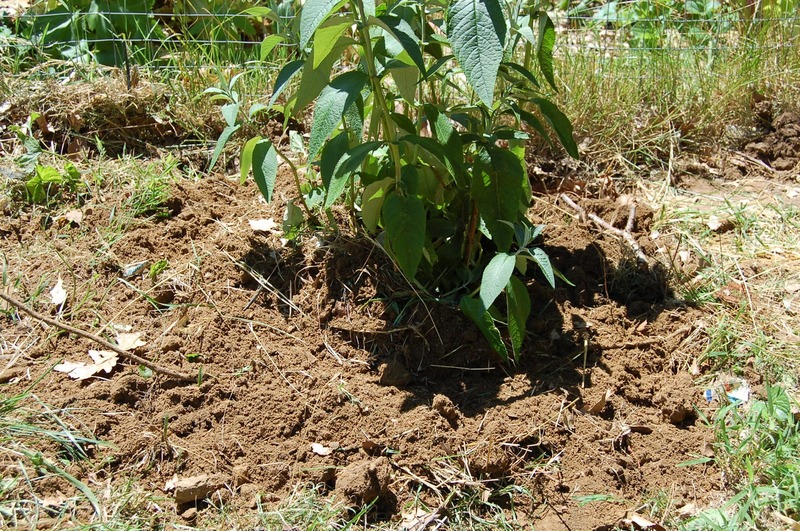 It gets nice and warm so that if you are planting trees or bushes that should be in a warmer climate, they have a much better chance of surviving. So, what is a hugelkultur mound, now that I know I want one? 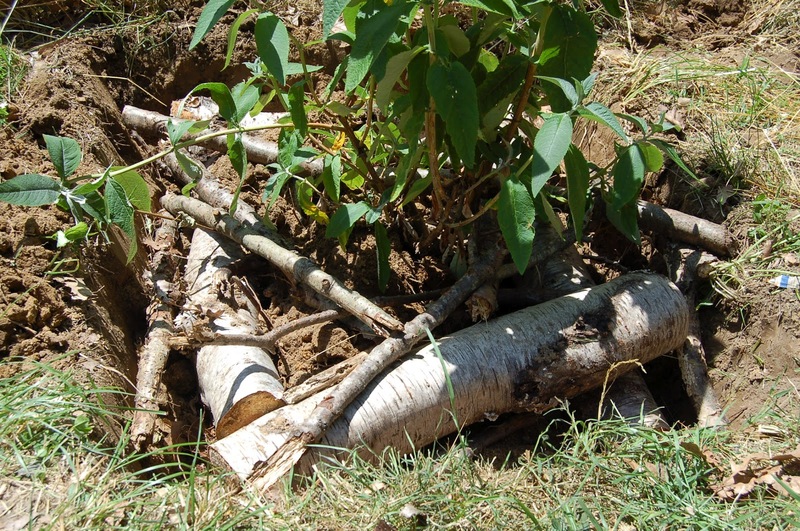 Basically it is a pile of rooting wood around your tree or bush that is covered with dirt. It rots and breaks down just like a compost pile which provides nutrients, the spongy water retaining texture and the heating up. point. I did water it some, but it is supposed to rain tomorrow, so I didn’t go too crazy. I assume that when it rains, it will all fall in and I will have to top it off. Either way, this bush should do fantastic as soon as it settles in. The logs I used were already started rotting, so I don’t think it will be long before that bush can begin to benefit from it. This is my flower garden. I know there aren’t any flowers to speak of, but I am new at this flower gardening thing. I never did feel the need to plant flowers. What do I get out of flowers. I would much rather grow yummy fruits and vegetables. But this is a special flower garden. This garden is going to be full of perennial flowers that are put their to attract beneficial insects to my garden. (Perennial flowers so they come back every year.) Bees and butterflies help to pollinate my fruits and vegetables. 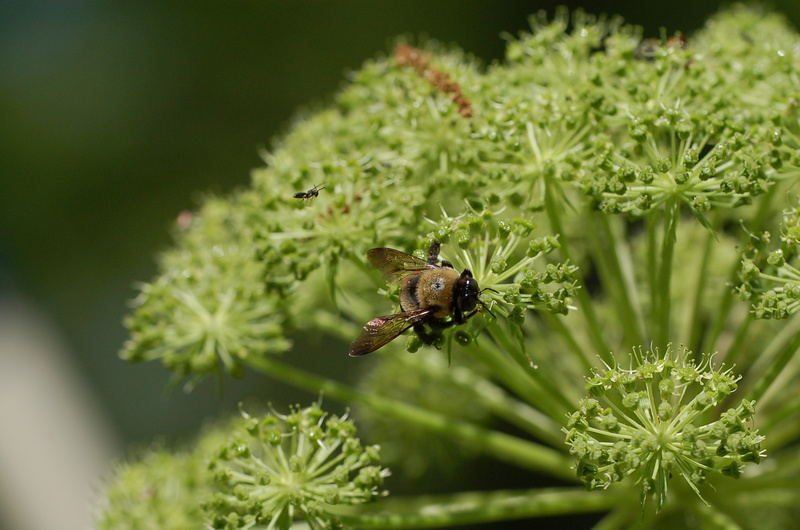 Since there aren’t any of these yet, I need flowers like the Angelica in the pictures to attract these bugs so that they will hang out in my garden. Come time for my garden to be pollinated, it will be full of helpers to do the job. 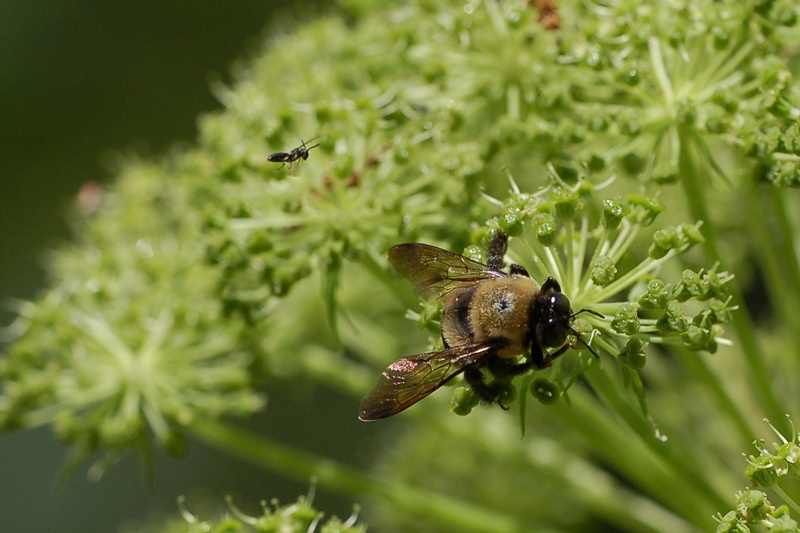 Another kind of bug that these plants will attract are parasitic wasps. They aren’t the big wasps that you are used to, but little tiny ones that don’t sting. What they do is help to rid the garden of unwanted bugs. Bugs like tomato horn worn can destroy my plants. The parasitic wasps lay their eggs on the horn worm and when the eggs hatch, the babies eat the horn worn and the horn worm doesn’t eat my tomatoes. This is a much better option than nasty chemicals any day.